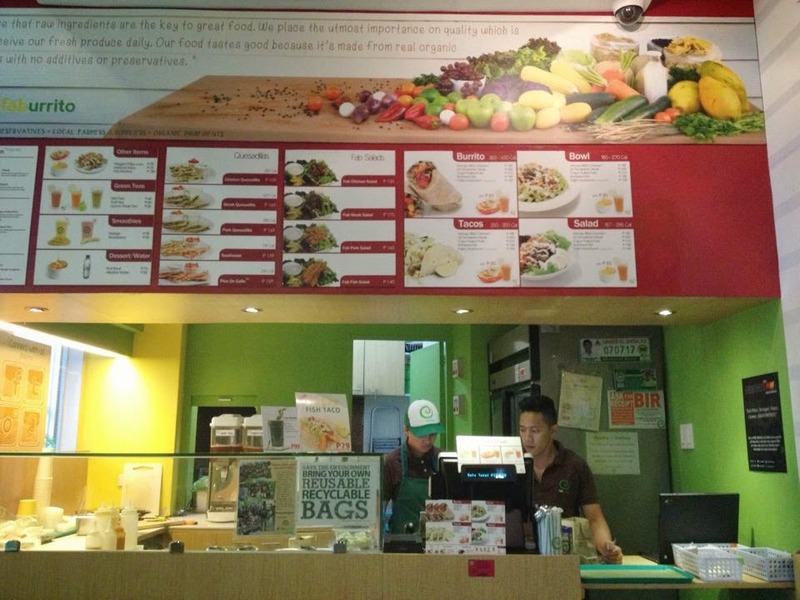 You get to see a lot of establishment nowadays offering fresh and healthy food. And one of them is Faburitto. I discovered them when I won the Megaworld Lifestyle Planner (Easter Egg Hunting in Eastwood) that has a lot of discount vouchers. I have a total of 3 vouchers for Faburrito inside the planner. I planned to go there after the free 3 hour Zumba class from Fitness First that I wish to avail. But I have a super hectic schedule plus the fact that I am lazy to go to work so early. Faburrito is a mexican restaurant inspired. 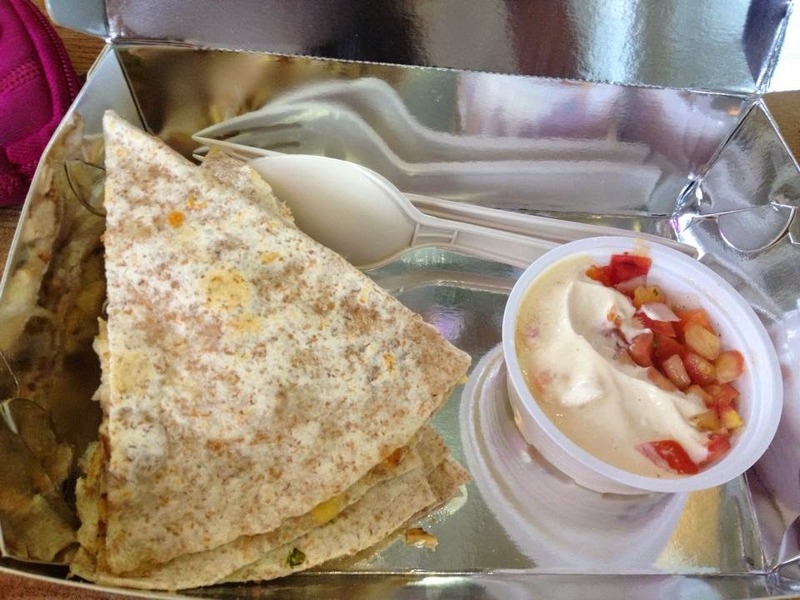 Their menu is consists of Burritos, Bowls, Tacos, Salads and Quesadillas. You can also build your own menu, starting from choosing your dish, picking a protein then finish with fillings. 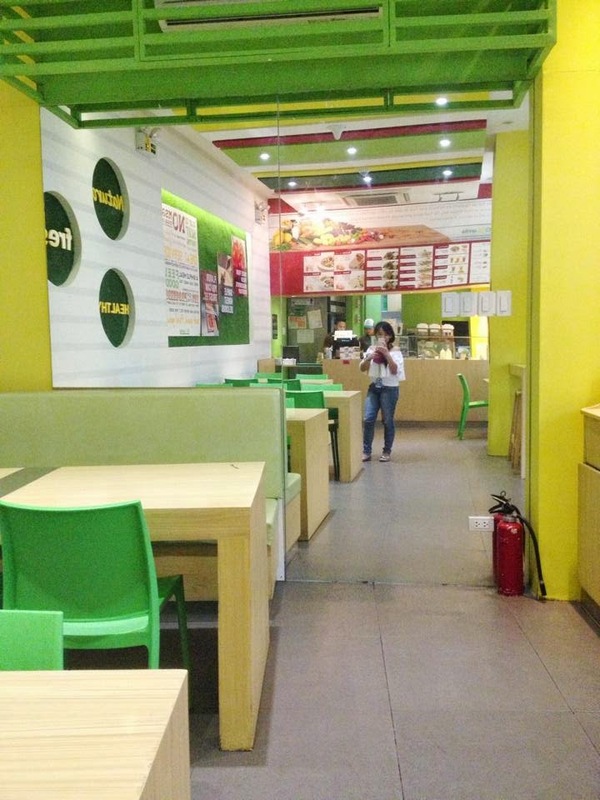 The ambiance has a feel of environment with the use of green and yellow colors on their interiors. According to their site, they only use natural ingredients, no sugar, no msg and no preservatives. Their food is made from scratch and prepared daily. Knowing that I eat a lot of junk food sometimes, it's great that there are establishment like this that offers healthy food. I first ordered for the Chicken Quesadillas. They are good even without the dip. They are cut evenly into 4 triangles. Looks light but I was able to give one more to my co-worker 'coz I am almost full. 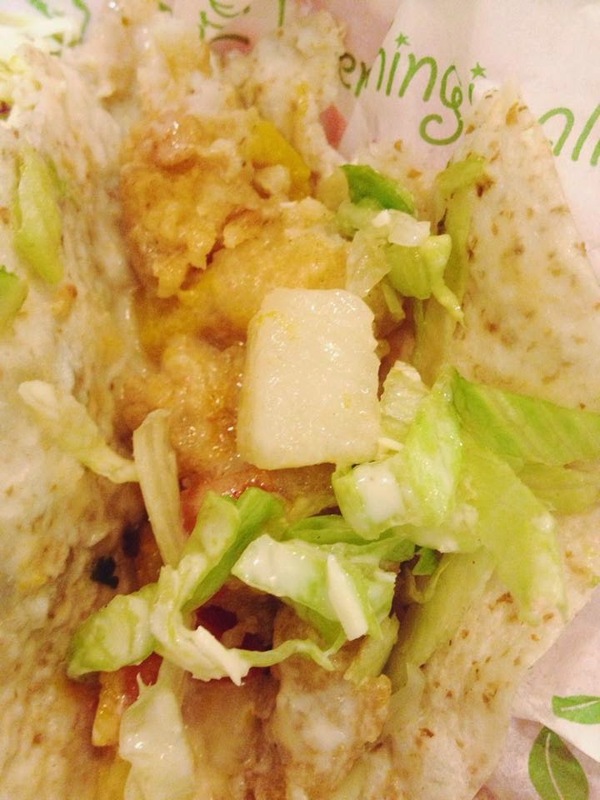 The next day, I ordered for the Battered Fish Tacos with Fruit Tea. It should be partnered with a smoothie. I was a little dissapointed because I was craving for smoothie but their blender is not working at that very moment. I love the tacos. I thought the serving is small but after finishing 3 tacos, I was already full. 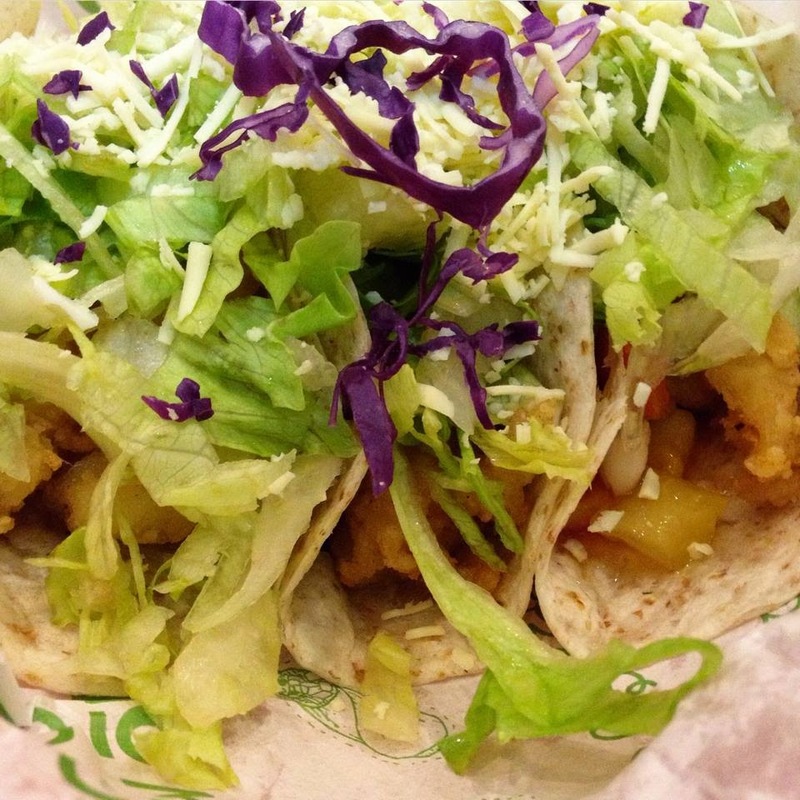 The vegetables are fresh and crunchy. The fish are distributed well inside. I also love the dressing. It was just messy eating it but really loved licking my fingers because of the yummy dressing. But on the other hand the Fruit Tea was bland. As bland as the water. Maybe because they want it to be healthy as possible. 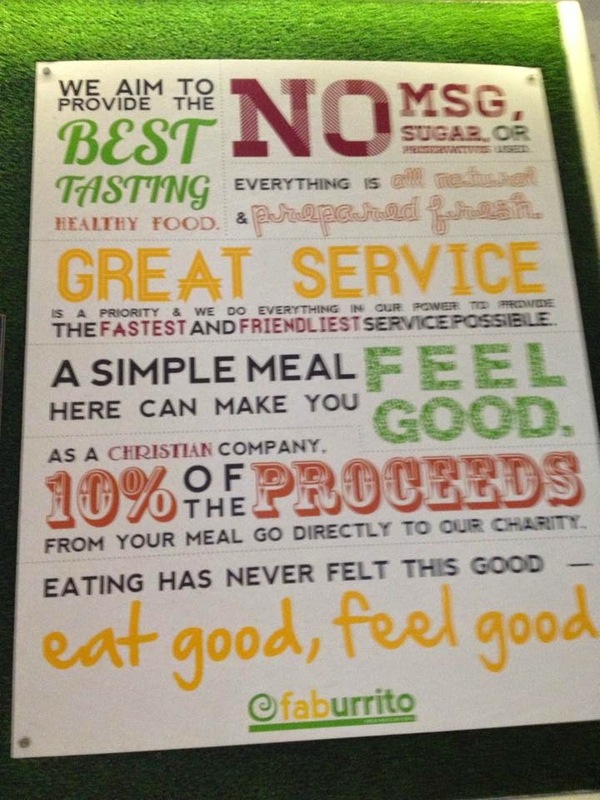 Lastly, Faburrito is a Christian company that helps underprivileged and homeless children. 10% of their proceeds will go directly to their FabFoundation. Isn't it awesome to know that you eat healthy and at the same time you help someone? It's a good feeling and not a lot of establishment have something like this. 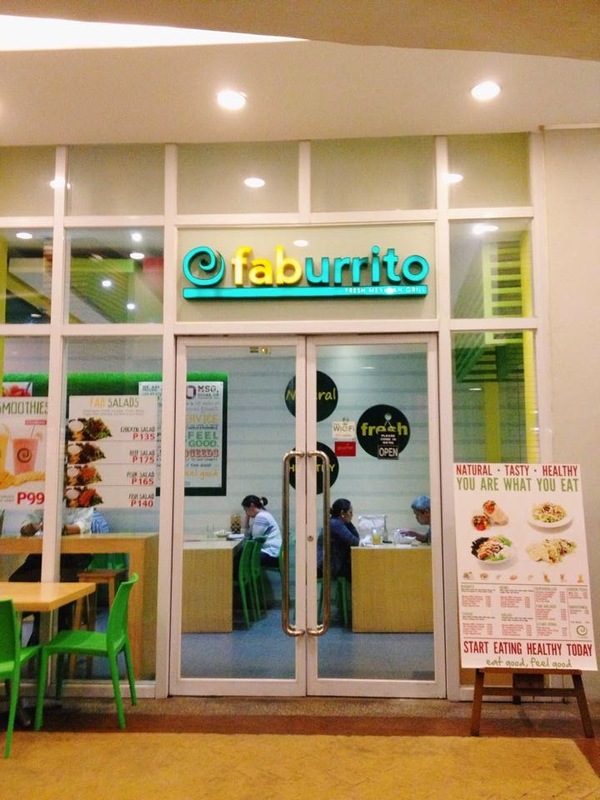 You are definitely Fab, Faburrito!